Use your web browser to upload content to the system. Note: Only Admins have the ability to upload when logged int the library. 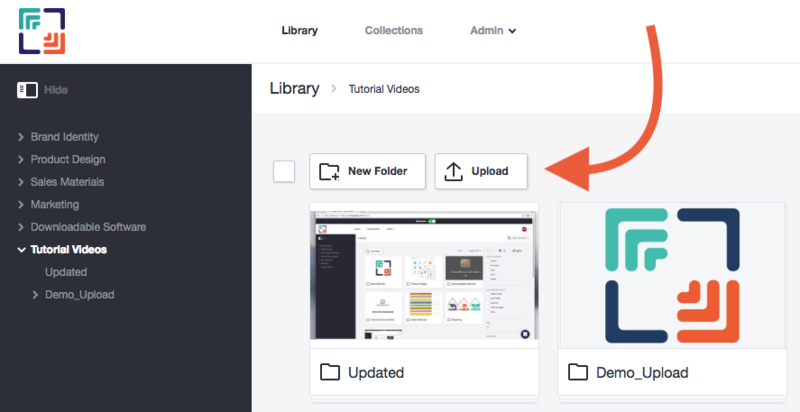 To upload files, first browse to the folder destination via the folder tree on left, or click on the folder in the library to select the destination folder. Click Upload to launch the upload modal. The upload modal will display. Drag all the files you are uploading to this window. If you are using Chrome or Firefox as web browsers, you can upload folders and sub-folder structures directly, and Image Relay will automatically create the folders on the portal. You may add text keywords to each file individually or use the Bulk Functions option to apply keywords to all files in the upload. You may edit the filenames at this time as well.